You can work with your kids to create original cards that they can write for their grandparents or cousins, or you can write the cards for your kids. 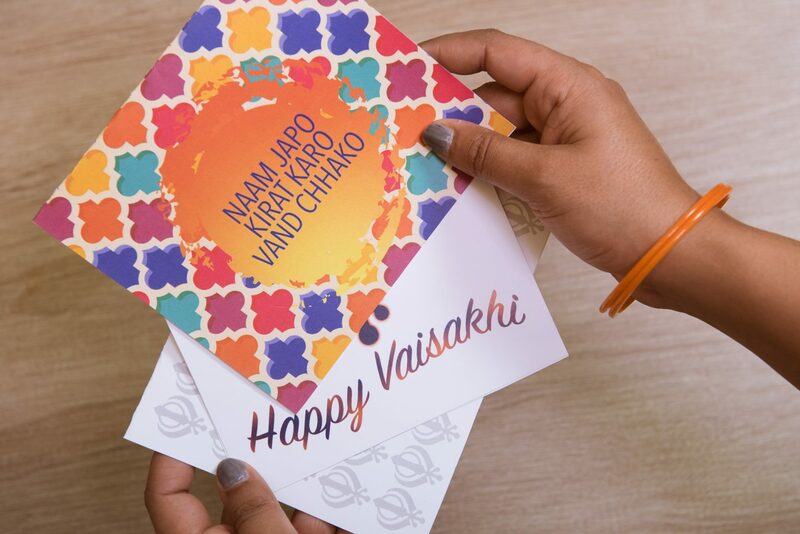 We have a tradition of writing my kids a note each year on Vaisakhi. In the notes I write to them about a trait they have that is admirable of a Sikh, and I remind them of their good actions throughout the year. It’s something I can imagine doing for years to come. We also put a little bit of cash (whatever we can afford) into their cards and ask them to choose a charity to support with it. 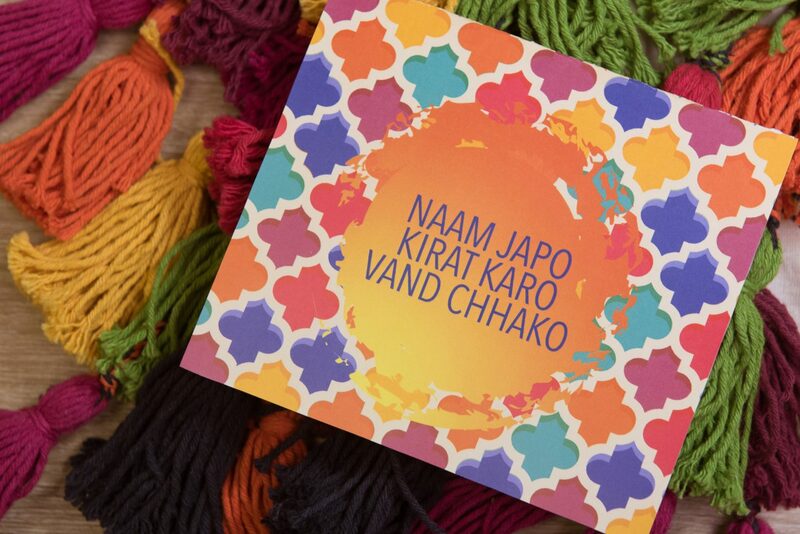 As you are working on the cards with your kids, it’s the perfect time to start a discussion about Sikhi. Just share a few random facts or stories about Sikhism or Vaisakhi while working on your project, and then wait for them to ask me more questions. With my kids this works much better than trying to sit them down and teach them something. For me the goal is not to teach them everything about Vaisakhi in one day, but to spark a lifelong interest in religion and culture. Depending on the age of your kids and their skill level, you can have them draw out the cards, mix & match scrapbook paper to create patterns, or download a card and write them out. 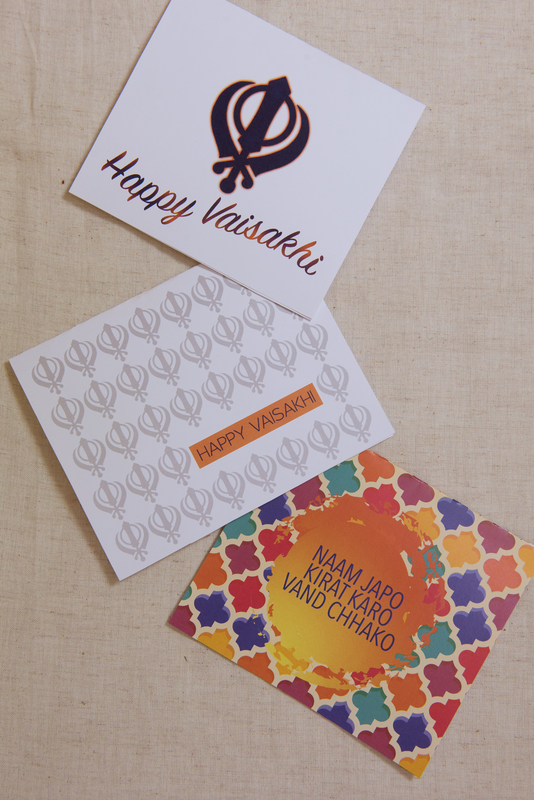 If you create Vaisakhi cards with your kids, we’d love to see them! 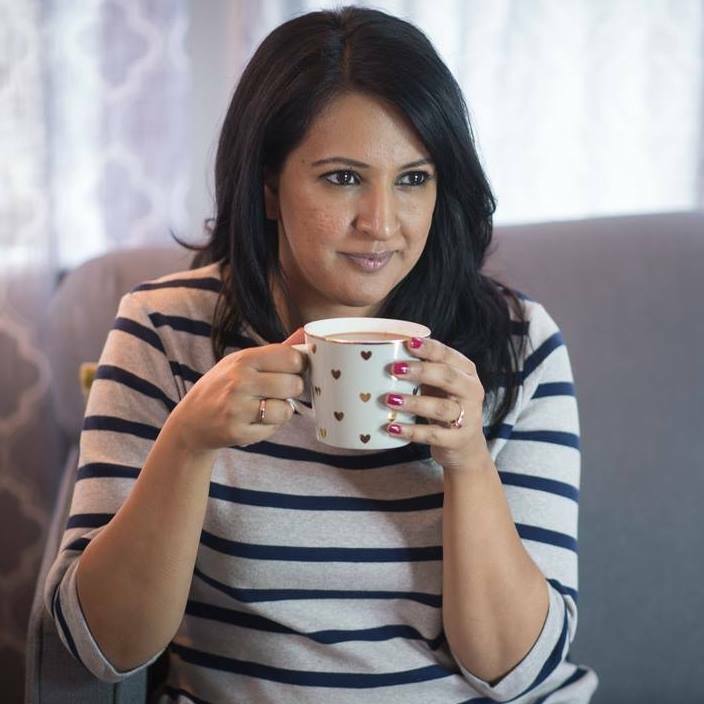 Share on social with the hashtag #vaisakhiwithpinkchai, or tag me in your pics @pinkchai. 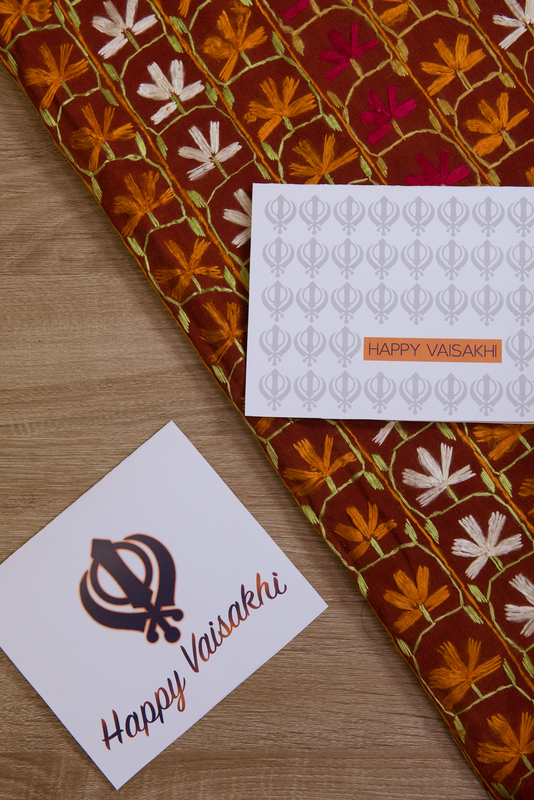 For more craft and celebration ideas, check out the Vaisakhi section, or my pinboard.